"A delightful disc with a top violinist who excels in nuances." Violinist Liza Ferschtman had to crowdfunden to make the CD, but the result is exquisite. Her interpretation of Mendelssohn's Violin Concerto with Het Gelders Orkest conducted by Kees Bakels is one of the most beautiful ones. Pure chamber music; the triumph of listening music without grease and false sentiment." "The balance between violin and orchestra is excellent." "**** Sound quality throughout the disc is bright, clear and reasonably warm." "Ferschtman does not perform the work from 1838-1844 as the heavyweight dialogue, but chooses a light-hearted approach." "Her pure, silvery tone is not large but then neither is the accompanying band..."
"It is heart-warming to find Ferschtman's own revivifying thoughts borne out by the special qualities of her musicmaking"
A freshness of approach to Mendelsssohn's concerto combines with a fizzing account of the octet. "Ferschtman and her team do not play it with a smile, because it happens to be a piece from a famous composer, but do play spicy and full of power." "In the first few bars, forcing intimately, you will get tears in your eyes, Ferschtman puts it so focused and free; the instrument is singing along with what it hears." "If you love these pieces then this should raise a healthy smile, and if you have been keenly awaiting another Ferschtman disc then the concerto in particular is a real treat." "They play this incredible work by brilliant teenager Felix Mendelssohn with intense energy and enthusiasm that hits the listener immediately." "" (...) She is beloved by her audience and managed to finance her newest album with crowdfunding (...) ""
"I was completely overwhelmed with a sense of renewed love!" "It has become a recording where fresh dew will stick like fine drops." 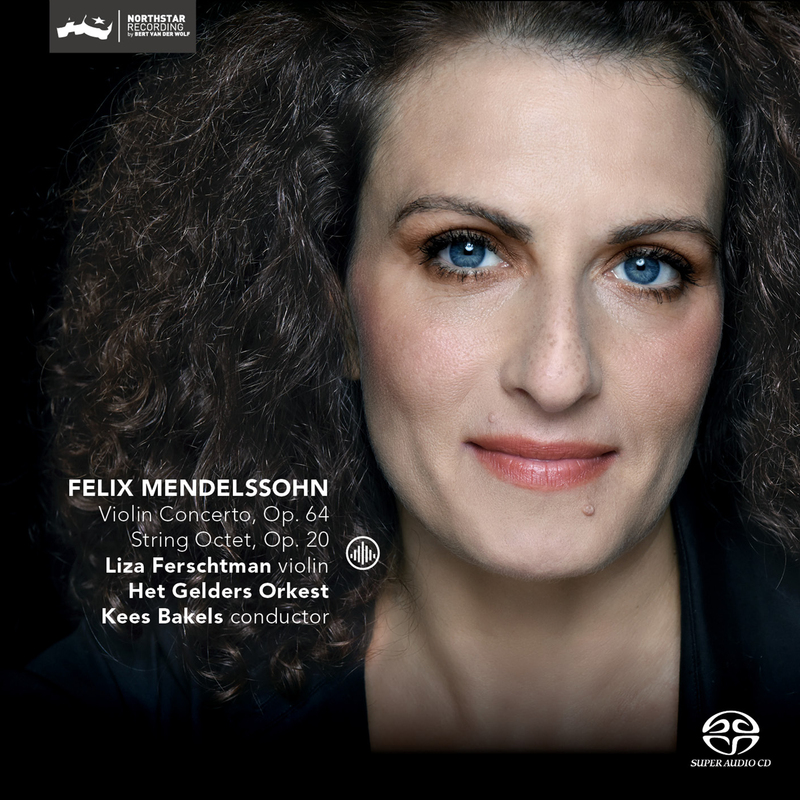 "Ferschtman puts Mendelssohn in a new jacket." "These Dutch musicians treat the piece as a chamber work, the cut-down forces of the Het Gelders Orkest giving light and airy support to Liza Ferschtman’s carefully judged, singing solo line." "Radio 4 CD van de Week"
"Ferschtman places herself with this recording without a doubt alongside or even above more famous colleagues who have already made a recording of the violin concerto. The result is very, very impressive. Maybe this is due to the fact that the 37-year-old played this concert already when she was only 15 years old." "This is not a ‘salon’ performance, it is music making of the highest order. It’s unreservedly irresistible!" "She international praised, but money for a new CD she has to arrange herself."